Stand Strong in your Faith in God…regardless! In July of this year, I put my faith in God for provision and attended my first Christian Writers Conference. As God tends to do, He showed Himself faithful and provided a way for me to participate. I was ecstatic! I have wanted to attend a conference with Christian authors since I published my first book. The conference was enlightening, inspiring, and encouraging. I was excited to meet and interact with a brand-new group of Christian writers and authors. God blessed me with the opportunity to introduce myself and my God-inspired book on prayer. One of the presenters was a group of women representing Joy and Company. They shared their story of going from a book club 11 years ago to now hosting the Christian Literary Awards for the 8th year in a row. I never had the opportunity to speak with them at the conference. 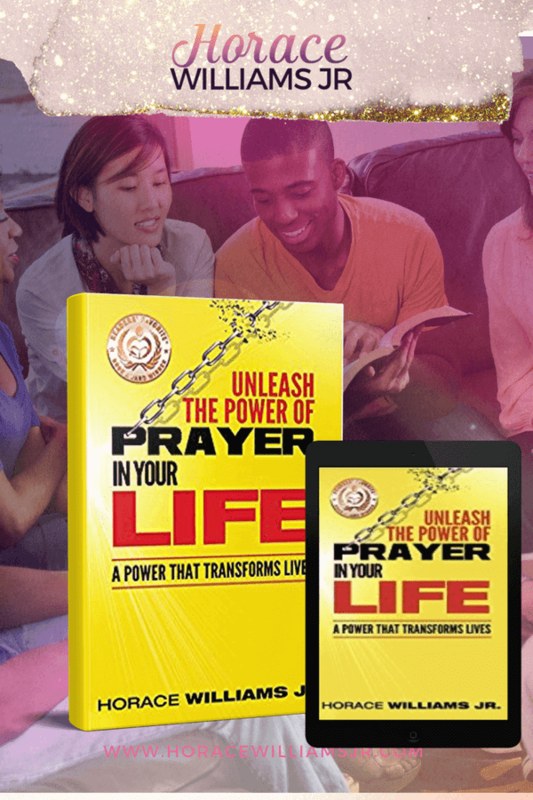 However, I wanted to submit my book, Unleash the power of Prayer in your Life for the contest. After sending in my book, I received an email from the COO after a couple of weeks inviting me to be a guest on their radio show. Much to my surprise, I had no idea they even had a radio broadcast, but I did not care. I had dreams of being on the radio-hosting my show as a young teenager. I remembered the joy of listening on my transistor radio under my pillow to the soft-spoken radio DJ’s late at night playing some of my favorite slow jams. My love for music was and still is intense. There is something about music that brings joy to my soul and puts a spring in my step. Now I had to snap back to this day and time. I wouldn’t be playing any records for a late night show, but I would have a chance to share my faith in God along with my testimony. There were still a couple of weeks before my appearance. Since it has been almost two years since the book first published, I committed to reading a chapter of my writing each day after my quiet time with the Lord to refresh my memory. My interview preparation was complete. It was an honor to be given the chance of representing God and what He continues to do in my life. Having made notes and added some color-coded sticky notes in my book. I was so ready, nervously excited, but ready. I couldn’t wait to discuss my faith in God. I’m sure most of you that are reading this article have heard this scripture or committed it to memory. However, I want to focus on the keyword that jumps out to me after my interview. The word is CONVICTION. Confidence. Assurance. Belief. These are some of the words that define conviction. I wonder at times how I will handle questions about my faith in God. I believe in my heart that I would stand strong when questioned about my faith. My desire is to honor my Savior and glorify Him in every situation. What about you? Read this inspiring charge from the apostle Paul to his protege, Timothy. I love this passage. Such great words of inspiration, guidance, and encouragement. This verse is what I thought about after my radio interview last week. A dear friend who has been a Godsend got me to the radio station with time to spare. I’m not sure when I developed this habit, but I hate being late for anything. So, we left early to anticipate traffic-allowing time for going somewhere we’ve never been before. I was at the station at least an hour early. I sat in the receptionist area and listened to the previous hour to get an idea of how the show would go. It was surreal-I was feeling a bit shellshocked that I was actually sitting in a radio station. Looking around, you could see the different booths with the on-air lights blinking outside each door. This was really happening. I prayed silently to myself as people were rushing back and forth getting prepared for their shows. Not too long after my prayer, God gave me the opportunity to share my testimony with the receptionist. We talked continually. She was fascinated by my story as she would race back to her desk after being called away and asked me to continue where I left off. When she asked what my book was about, I offered to give her a copy. I signed it for her, and she returned to her desk. It got real quiet as the show played in the background. I had no idea she had begun to read the book right there at her desk. She stated how much she liked my book. It was easy to understand and did not seem “preachy.” I thanked her for listening to my story and told her our talk was excellent prep for my interview. We had a good laugh, and she directed me towards the radio booth I was relaxed and ready to go. It was now showtime! One thing I’m reminded of as I reflect on my interview is to be aware of my old habits. It was stated by previous managers in evaluations that I am overly self-critical of myself. Another thing I struggle with is paralysis from analysis. I tend to overthink things on occasion. That seems funny coming from a creative like myself, but it’s true. After the show, the host told me how well it went and offered to be a referral to the station manager if I ever decided I want to host my own show. I still could not wait to hear the replay. I was concerned about something that took place around the 15-20 minute mark. Had I backed off something I knew was taken directly from God’s word and referenced in my book? After listening to the replay multiple times, I feel I made my point clear. Thankfully, God gave me the wisdom to share my testimony and how my faith in God has grown over the past ten years especially. This was a fantastic learning experience in the desire to grow my author platform to include speaking engagements. Let me know what you think as you enjoy taking a listen. Please return and share what you think. I would love to read your thoughts on the interview in the comments. A Sweet Aroma when you Delight in Serving Jesus! This is really amazing, I’m trying to get to where you are. I’m listening to your interview now and so excited with you for your journey. I’m going to send you an email and praying you email me back thank you so much! I’ve downloaded the book from Amazon and will began to read it tonight. Excited to hear from you. Thank you for visiting today, Marshae. I am glad you are enjoying my radio interview. Everyone’s journey in life is different. God created us and made us unique in our own right. I pray you are blessed as you read the book on prayer. Thanks again for sharing your thoughts. Continue to seek God’s will and draw near to Him, and He will draw near to you.